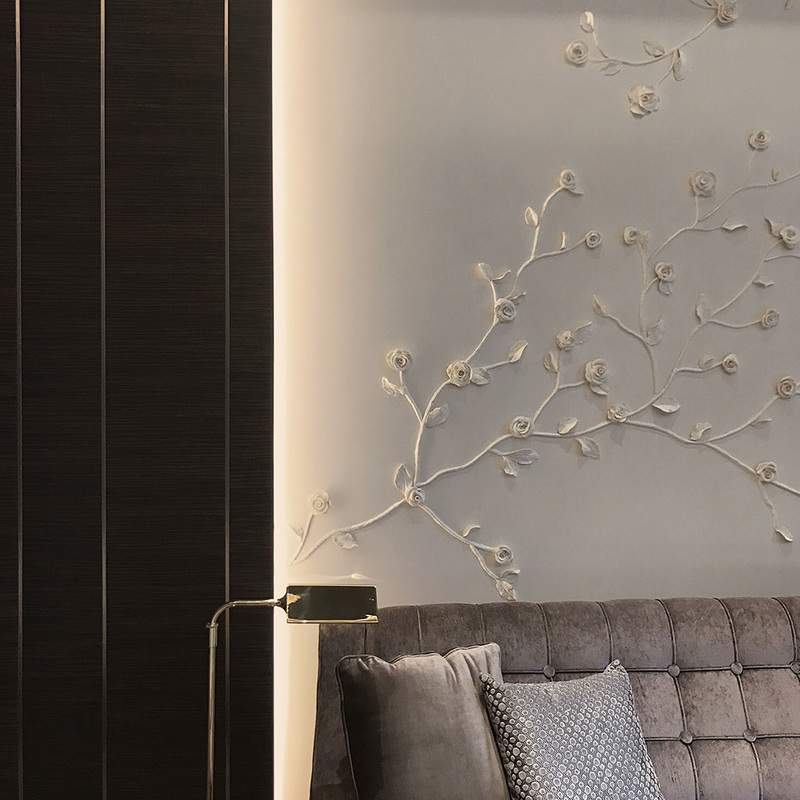 Rising 35 story’s above the Sheung Wan district in Hong Kong’s northwest end, renowned for its heritage buildings, esteemed schools and eclectic shopping, Studio Munge’s design for Kensington Hill embodies the area’s refined sophistication. 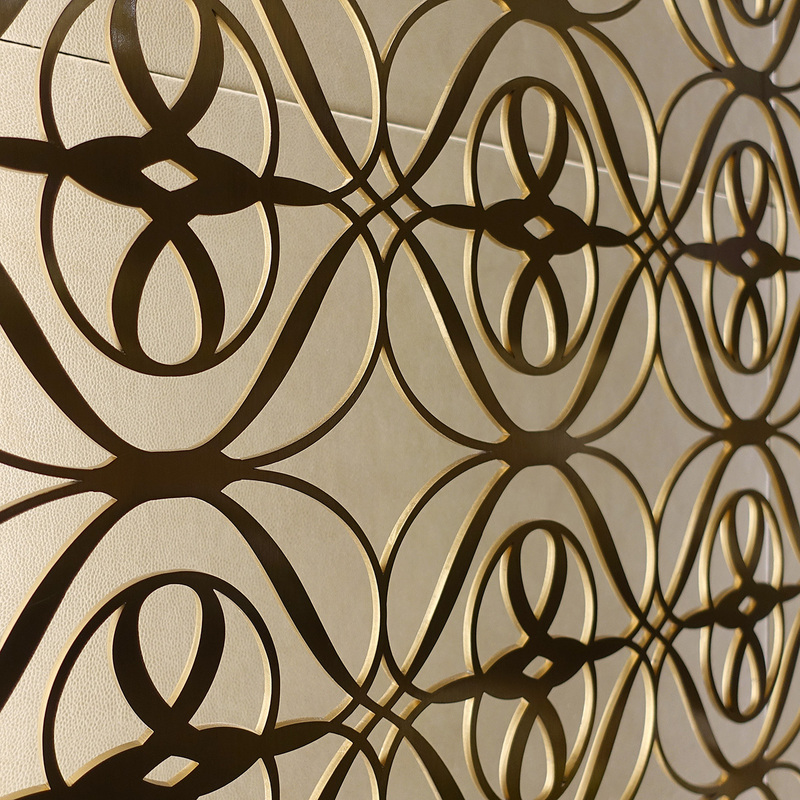 Modern luxury and timeless elegance take center stage in this upscale condominium, featuring natural material finishes, a rich tone-on-tone palette throughout and a contemporary FF&E program that includes custom-designed furnishings, detailed millwork, custom lighting and artwork. 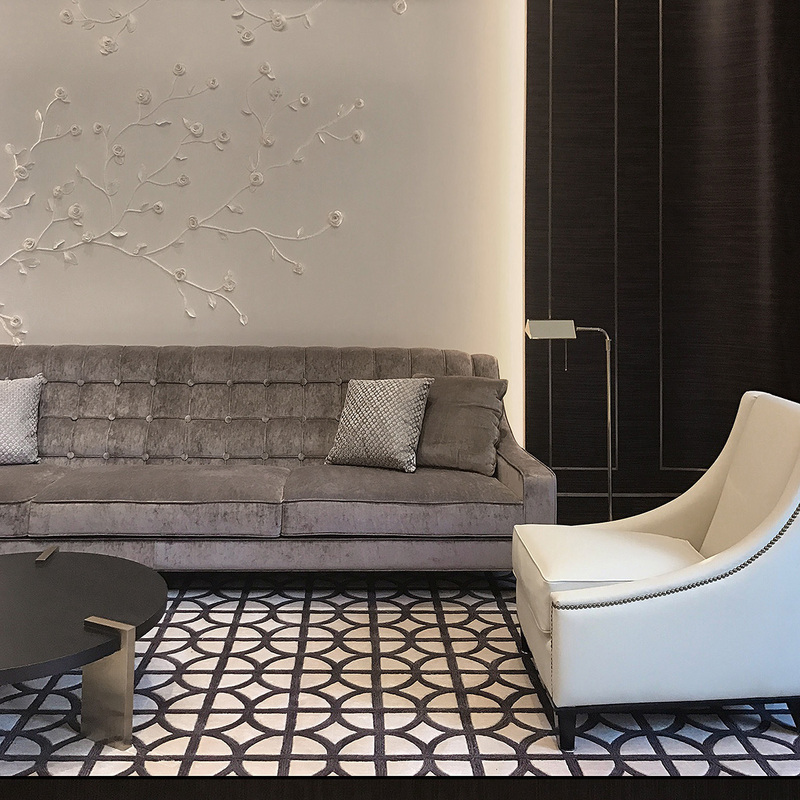 The interiors of Kensington Hill are designed to feel more like a hotel than a condominium, offering the warmth and comforts of home yet reflecting the luxury consistent with the world’s most exclusive hospitality brands. 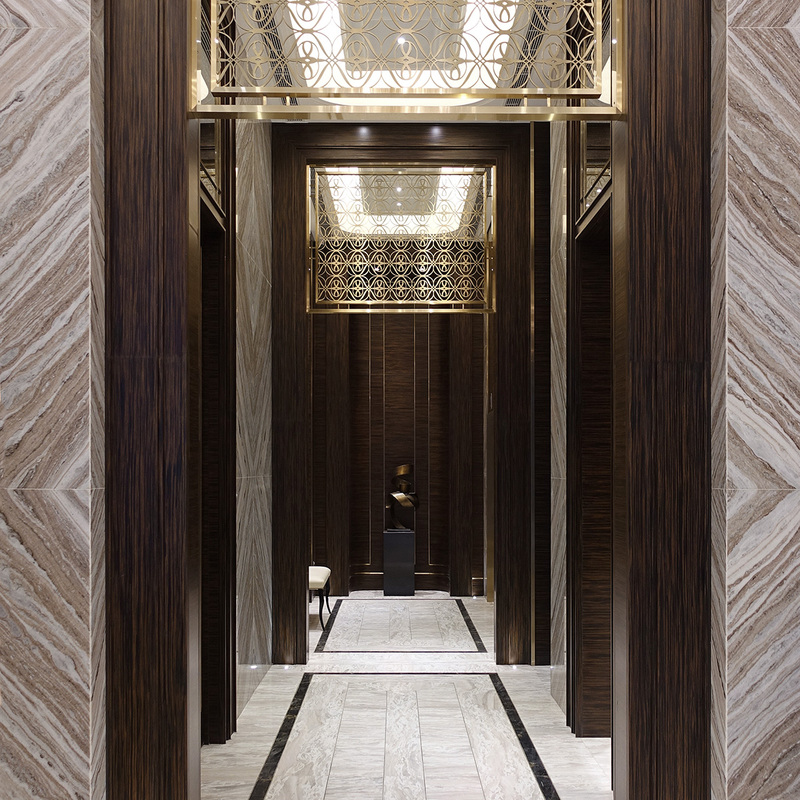 The lobby features polished marble floors and walls, Macassar Ebony millwork and bronzed screens. 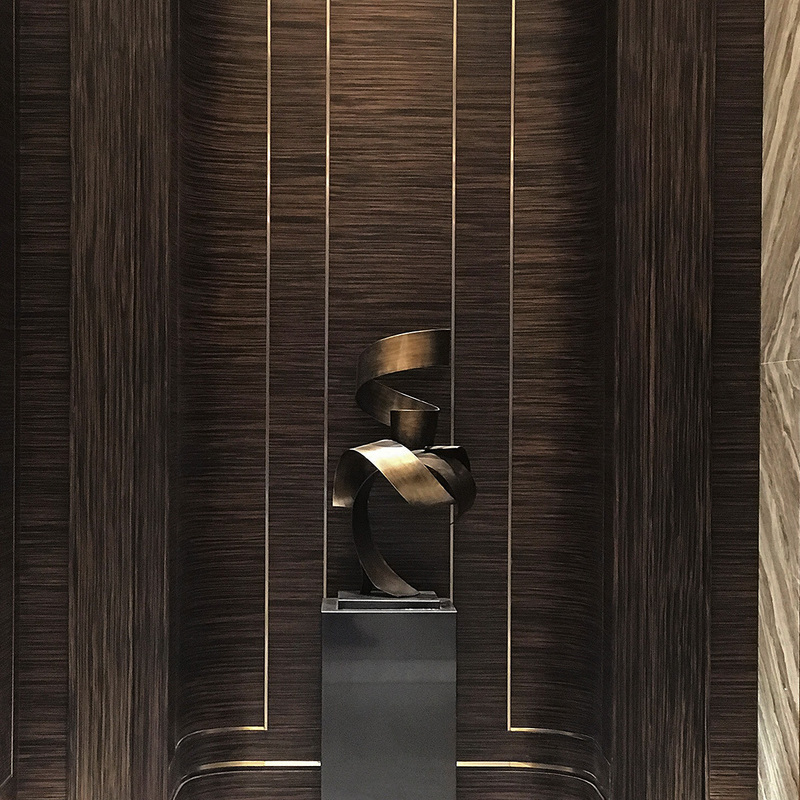 The Macassar Ebony millwork extends throughout the building, including the elevator cabs and Clubhouse. 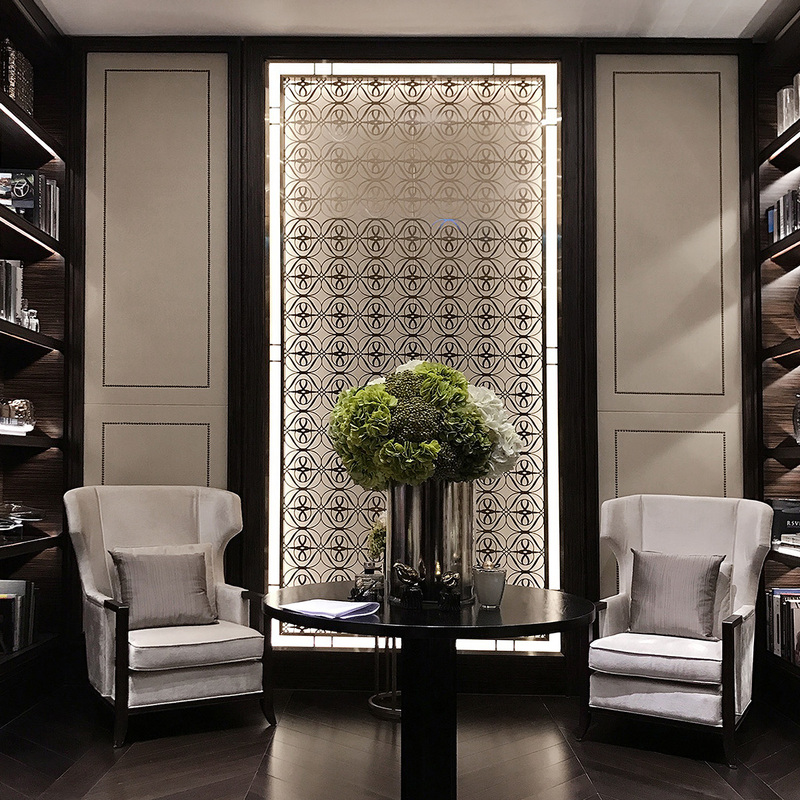 Taking inspiration from the elegant penthouses of New York’s Upper East Side and London’s Mayfair neighborhood, Studio Munge applied a neutral color palette for the interiors, defined by soft crèmes and ivories and accented by the hard finishes in Macassar ebony wood, and dark polished stone.